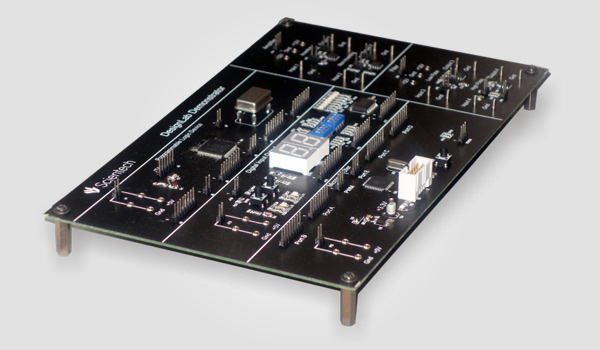 In present scenario the concept of circuit design has been switched from discrete design to system on chip i.e. SOC type design. 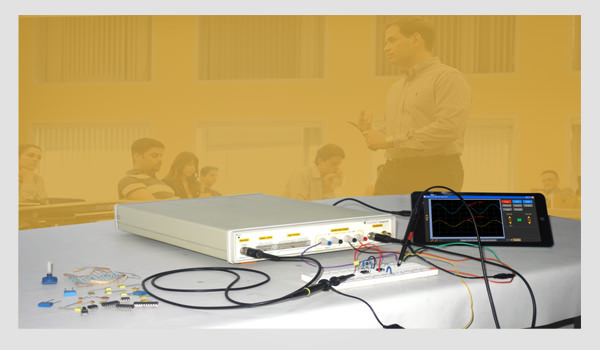 Firstly today's IC is software configurable and for that user has to use software interface using PC / laptop. 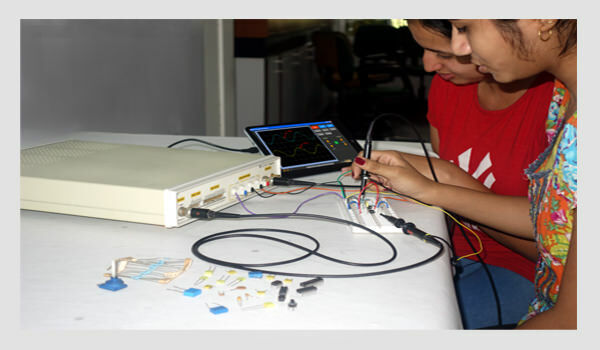 So the computer is the necessity for engineers in all domains (Basic Electronics, VLSI, Embedded, DSP, Instrumentation, etc.). Secondly, traditional TMI is the basic need for the design engineers. 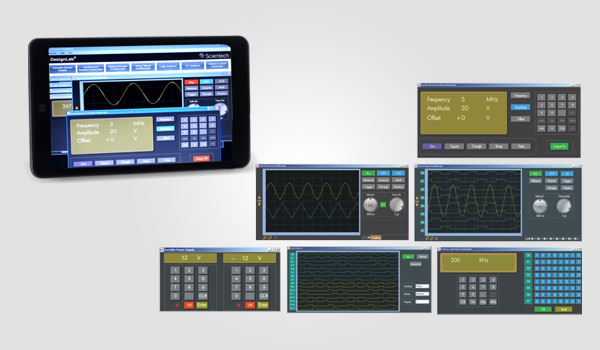 In the modern world PC based multi-instrument is the ultimate solution for design engineers. As it is space saving, faster testing time, faster troubleshooting, multiple large and simultaneous windows, large storage of waveforms on a PC, sharing waveform data via server/ internet, different TMI capabilities as per specifications etc. 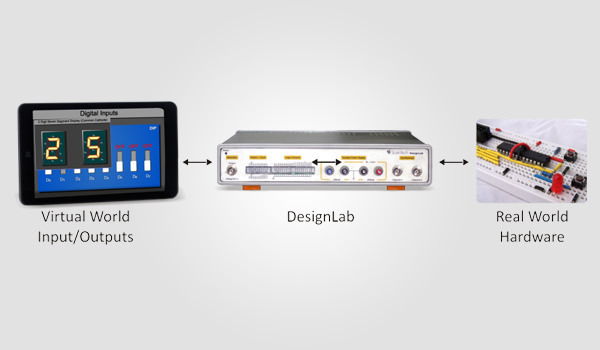 Scientech DesignLab is a powerful Virtual Bench with a capability of Real Time PC based Instrument for Circuit Designers. 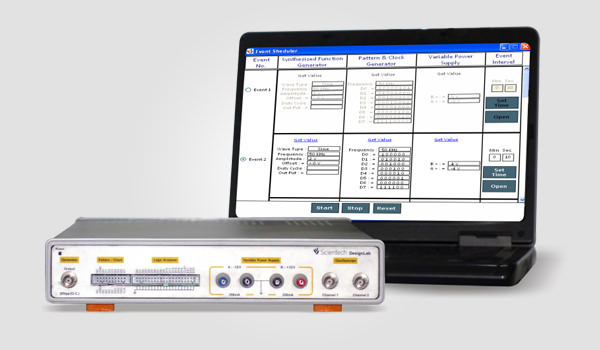 It includes multi instruments like Digital Storage Oscilloscope, Mixed Signal Oscilloscope, Logic Analyzer, Synthesized Function Generator, Pattern / Word Generator, Programmable Clock and Variable Power Supply. You can convert your laptop / desktop into a powerful Virtual Bench using DesignLab interactive software. Sine, Square, Triangle, Ramp and Pulse.